Common mistake. That actually says Gil Kang, there. Well, is it? IS IT?! No, it’s Gil Kale. 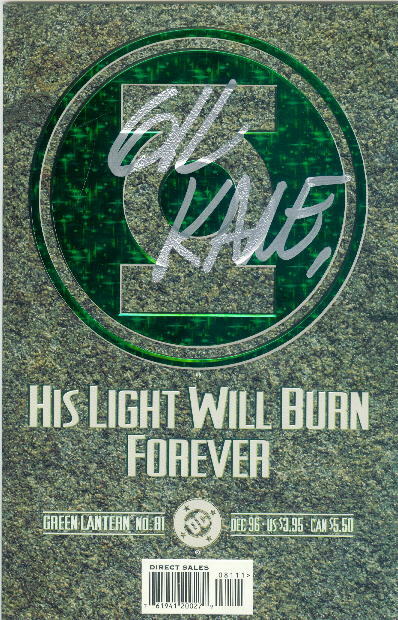 He was a big fan of GL. Actually, it says Gil Kal, followed by a Cyrillic B.
why’d he put a comma after his name? It clearly says “SWAMP THING.” Poor Swampy always did have trouble writing his name for autographs.